US-led Coalition Actions Cause More Casualties In Euphrates Valley: 103 People Killed Over Past Week 5 out of 5 based on 3 ratings. 3 user reviews. US-led coalition warplanes carried out a series of airstrikes on urban areas in the middle Euphrates River Valley killing 23 civilians and injuring many others, the Syrian Arab News Agency (SANA) reported on November 15. “Warplanes of the international coalition, led by the U.S., carried out airstrikes on civilian neighborhoods in the towns of al-Bubadran and al-Susah in the eastern Deir Ezzor countryside,” local sources told SANA. The Syrian Observatory for Human Rights (SOHR) confirmed that many civilians were killed in the recent airstrikes of the US-led coalition. According to the pro-opposition monitoring group, coalition warplanes killed 103 civilians in the Euphrates valley over the last week. Most of the victims are reportedly women and children. The US-led coalition stepped up its aerial operations in the Euphrates Valley recently in order to support the Syrian Democratic Forces (SDF), which resumed its military operation against ISIS there few days ago. Despite the coalition’s air support, the US-backed group is still incapable of making any notable advance on the ground. Putin make Assad concede the East Euphrates to US. It’s a gawd Dam weapons test range! Why not send notice to all Syrians in East Euphrates….to Fleet to the West where Assad will embrace them? WTF not?….let them just perish while Uncle Shlomo butcher bill them by Kurd or ISIS? Ya Putin…you Russian Pensioner abuser. Why not arrange for Syrians to Caravan the Hell out of Doom to Safety? Where is Assad save his people? Have some Content. …you emotional driven…. b’tarded! Post Putin motion UN to stop Gaza Genocide. Putin …threaten Israel. ..never IAF attack Syria. You got nothing going. ..
Putin is sit in Gold chairs… while $$…Rolls in for Oligarchs. Still…..lots of $$ pour in. Russian Pensioners get nothing. ..
Oh yes…….Russia is doing great under Putin…. the The Secret Jew. pssss dont tell them all secrets..
one side the bad americans with their british french etc.. pals and on the other side the evil russians with their evil chinese and iran pals….lol…..
of a one world government , with jerusalem as its capital under satanic jewish leadership. the BS we are witnessing in jemen, in syria is conducted by those nations and APPROVED by the others…may i remind u folks here please that it was russia and china that approved UNSC resolutions against THE HOUTHIS, defacto an arms embargo.. while smiling into the cameras when siging billions of dollars of weapom sales to UAE and saudi arabia by exactly those above mentioned nations including russia,china,usa,uk,china,france,spain,germany. U folks have to understand, that any of those above mentioned nations never had a true free deciding president or chancellor for the last 70 years …. i have written about the historic takeovers of several nations by thems satanic jews , ie, russia 1917, usa 23.12.1913, germany 1945, china 1949, france went in and out of the agenda..that beiing out of the agenda was the great general degaulle who left nato and put a veto against BRITISH beeing part of the EU !!!!!!!! over 20 assasination attempts were made on his life.just to make some think a little….a company named permindex was kicked out of france and belgium and holland and switzerland by degaulle…why? they, the french found out that this company was a professional assasination company headed by louis mortimer bloomfield(a highly decorated and honoured israeli man and uk man), which then opened offices in italy where the man in charge was no other than ….. here it comes the goody secret………………………. catch the drift folks!! i could go on and on….. Yet not really, ….That Play* is as old as the First Kings. This was the way of the Masonic. Basically they ran the Taxes and State Inventories….heh,heh, he ….asked Shekels go into the pockets. The Hebrews were a tranche of the Hurrian kingdom circa Akkad and Sumer. Nations who traded land and sea with the Indus long before Dynastic Egypt began. Your Ancient Khazar gangsters were jacking trade routes and have Priest whisper to Kings long before they schemed up that BS YHWY story con. Like Noah replace Gilgamesh in the Flood Story. It’s taken 5000 fracking years ….yet it’s here. Kirill knows the smell of Lox/Bagel and cream cheese,….He’s not fooled. Most of Russia is…..They will tear you to pieces if you suggest Putin is already stable horse of the NWO. Putin kicked the Russian Pensioners into the Ditch was a Gift to socio awareness. People can notice the contradiction in behaviour,…..or make excuses up. Dozens of Jewish crisis actors…..Americans gave $$Millions to the Jews who conned an entire nation. It’s in your face. …. Fake War on Terror. ..
Oh…sob,sob,…..It’s more US sanctions and Tariffs. Putin is the wealthiest human on this planet. My guess is when sorting between haves and have nots Putin goes in the Haves pile. Syria in a nut shell… 500,000+ have nots killed with millions maimed, crippled, injured just to keep unbelievably wealthy Assad Clan swimming in gold and power. 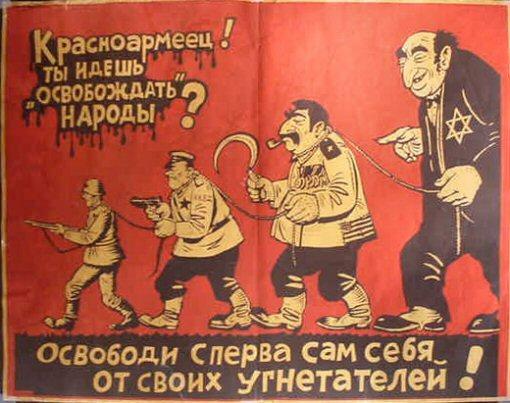 How many Russians think the Talmudic Snakes are all gone? Why do they get so upset when confronted with obvious contradiction and collusion? Learned some things about Assad which is as disturbing as Putin’s secret history. Why would Putin give gifts to Erdogan who stuffed over 50, 000 Takfiri in to murder Syrians…and some Russians? Why give Erdogan ….Broker of Nat gas and oil ? Yet grinning Offshore banking Mullahs say nothing…. Considering that the US will attack any attempt by the SAA to cross the Euphrates and Putin at least has the smarts NOT to go to war with a nuclear armed superpower there is very little that Assad and Putin can do. Also the civilians in this part of Syria live under ISIS occupation. And ISIS doesn’t care for these people in any other capacity then as human shields. They’ve NEVER going to let them go to government controlled territory. Except as part of a strategy to hide their own fighters among them in order to infiltrate. So a call for them to flee to Assad controlled territory is meaningless. Now if it had been the SAA that was besieging this part of the country we would have had humanitarian cease fires and escape corridors. As happened in East Aleppo and East Ghouta. That’s if Putin is Knight fight the Dragon type story. I’m just not seeing ….Commitment ….from Him. Or why Putin says nothing about IAF violate Lebanon airspace for same. Gaza Genocide is simply a regional nothing…..just as Lavrov give Israel Stolen Syrian Golan under some flake deconfliction zone agreement. Do You Ever See Israel get knocked to the mat? Well ya….last time was 2006 and Hezbollah …with like less than 5000 boots on the ground. Israel is chicken neck weak. ..
Putin makes sure ….No Fox gets near the Hen House! By the way……BRICS is Finished. …Finito! Modi of India has gone Fascist by pulling currency out of circulation and cracking the NWO whip. South Africa is murder whites and steal their land. …it’s game over there. Brazil is gone over to the Banksters. ..as fast as Rothschild put Macron in France. you know.. nowhere on the planet has US action ever led to peace..
“Most of the victims are reportedly women and children.”….. now that is true genocide. Men can be replaced, but mothers and children not. You bastards US, one day soon, you will all rot in hell.